Volunteers from the community will hold their monthly Strengthening Our Communities Economic Development Meeting on Thursday, April 16th at noon at the Caring Community Building located at 209 W. Highway Street. 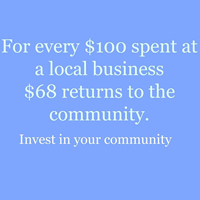 If you would like to learn how you can help strengthen the local economy please join us. This month's meeting is being sponsored by Reed Oil Company.